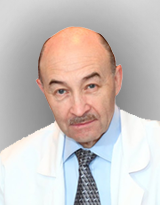 "... TRANSPLANTATION IN RUSSIA IN 2006–2008. National Registry Data Gautier S.V.1,2, Moysyuk Y.G.1,2, Ibragimova O.S ..."
"... ,2, Ibragimova O.S.1 1 Academician V.I. Shumakov Federal Research Center of Transplantology and Artifi cial ..."